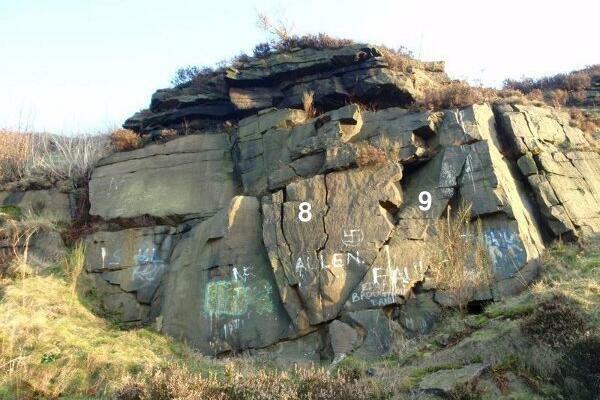 Crosland Moor Quarry, a small urban-ish venue consisting of a number of small quarries. 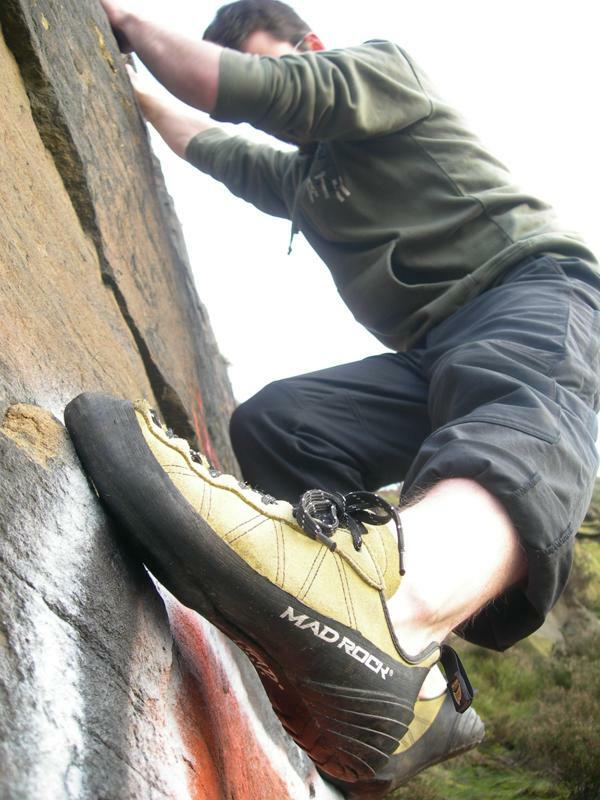 End Buttress is the best area, especially on sunny afternoons and evenings, with 4 notable problems (18, 19, 20 & 21). From the A62 Manchester Road leaving Huddersfield take the B6107 Blackmoorfoot Road. Take the right turn onto Ivy Street and park up at the bottom of the road. There is a path that goes left and down behind the playing fields that leads to the quarries. 2) Font 3 The 2 thin cracks leading to a wider crack on the right. 4) BROKEN WALL - VD 3c The wall to the right, lots of options. 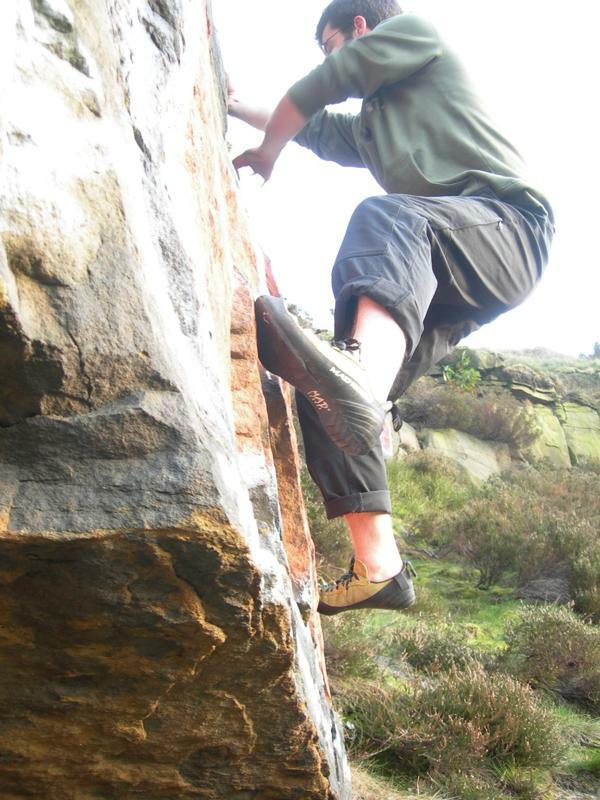 5) BILLY THE NOSE - Font 5+ Starting on sandy pockets reach to the sharp holds on the overhang, go through the middle of the overhang and finish with a mantle. 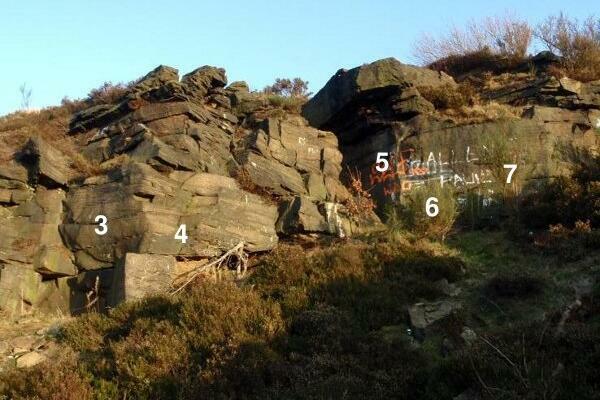 7) Font 3 Traverse the wall from left to right. 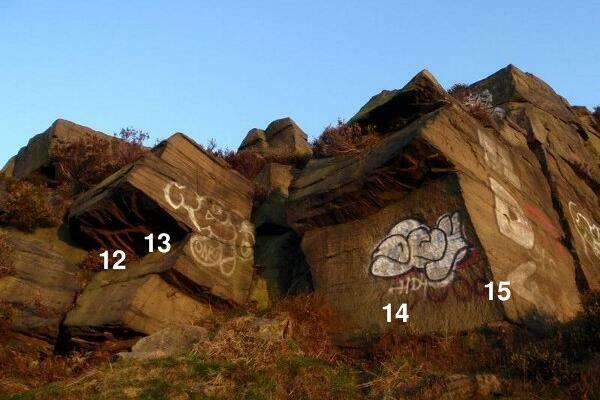 8) Font 3 Twin cracks to the ledge, escape right. 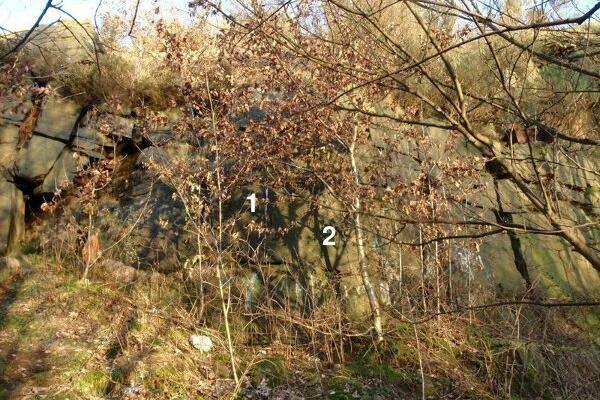 18) BLANK WALL - Font 6b+ The middle of the smooth wall, no aretes after the ledge. 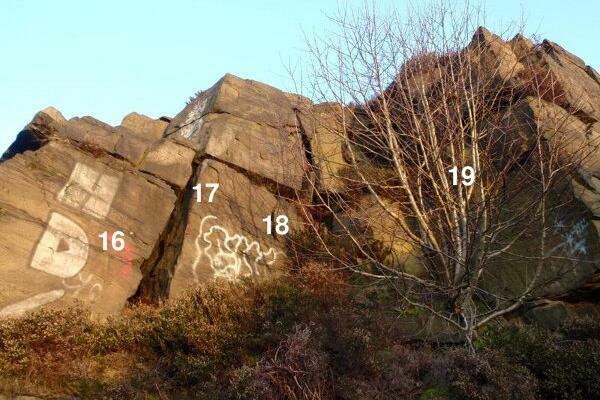 19) Font 5+ The wall using the crack, ledge and then the flake (not the tree as the image would suggest!). 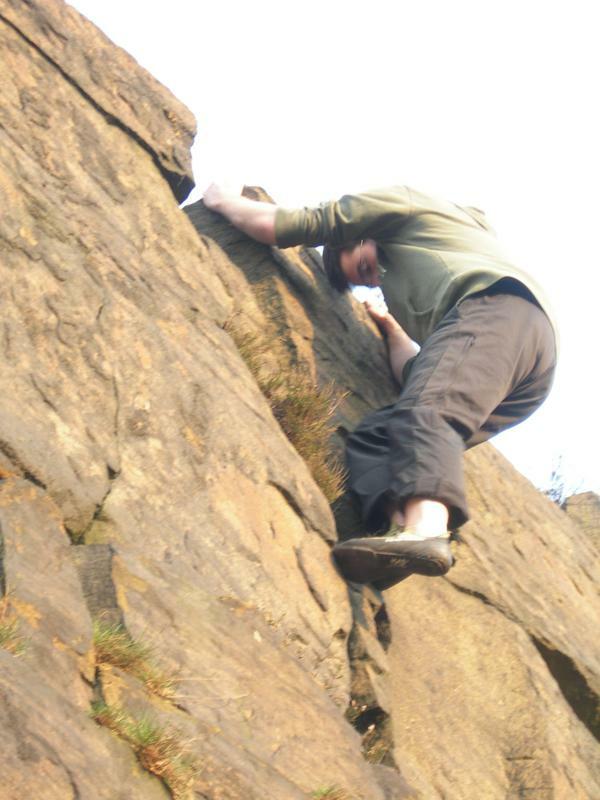 22) Font 6a Eliminate, use the sharp crimp and the side pull to reach the break. 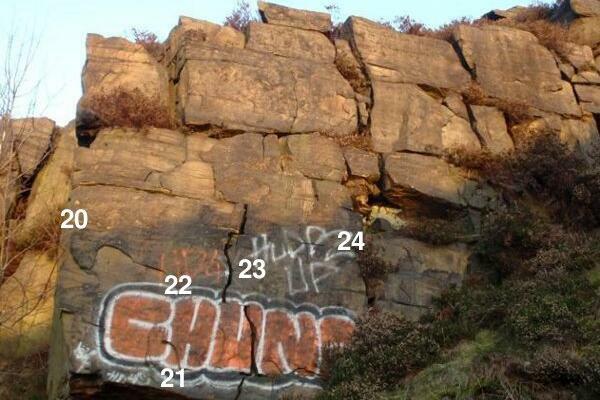 23) Font 3 The wall and crack. 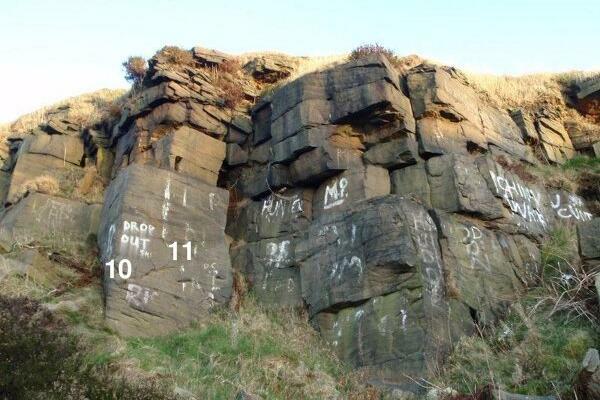 24) Font 3 The wall.